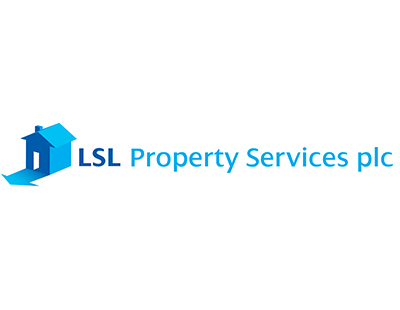 A major restructuring of LSL Property Services has just been announced to shareholders, with substantial numbers of branch closures. The statement says the move is to "deliver improvements to the Your Move and Reeds Rains operational performance and market competitiveness" following a long-term review of those LSL brands. - "The LSLi group of companies today operate 57 branches and they will continue with their existing strategy to develop the nine well established local brands in their existing markets in the South East of England. In addition, in 2019 the LSLi group of companies will continue to actively evaluate opportunities for lettings book acquisitions." LSL Property Services plc, a leading provider of residential property services incorporating both estate agency and surveying businesses, today announces its planned changes to the structure of the Your Move and Reeds Rains estate agency branch networks and operations. This follows completion of LSL's ways of working programme and is expected to deliver improvements to the Your Move and Reeds Rains operational performance and market competitiveness. In the second half of 2017 we launched a ways of working programme across some of our Estate Agency businesses to respond to the changing landscape and customer demands. As highlighted in the 2018 LSL Interim Results announcement, we continued to progress the ways of working programme during 2018 with a focus on Your Move and Reeds Rains. Following the completion of this comprehensive review, we announce today the planned creation of keystone branches across Your Move and Reeds Rains. These keystone branches will be branded as either Your Move or Reeds Rains. They will be situated in core locations across the UK and will generally have larger teams of dedicated experts in Residential Sales, Lettings and Financial Services roles than the average Your Move and Reeds Rains branches have in place today. Our ambition is for the keystone branches to be centres of excellent customer service, great places to work and efficiently run and supported. The ambition for these keystone branches is to create a platform that will benefit from their larger scale, enabling us to invest in people and technology with the aim of providing enhanced levels of service to our customers whilst ensuring operational performance is optimised by competing more effectively in local markets. Our commitment to a new platform and investment in enhanced technology is intended to give these Your Move and Reeds Rains branches the opportunity to cover a wider geography and benefit from further scale. 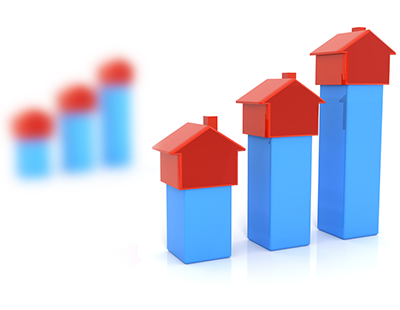 We continue to believe that traditional estate agents will represent the substantial majority of the Residential Sales and Lettings markets for the foreseeable future and that our Estate Agency branches will continue to remain core to providing the service our customers expect. The changes we are announcing today will better position Your Move and Reeds Rains as two leading Estate Agency brands in the UK. We will continue to support these branches and our people to maintain their brand presence and well established local market positions in the future. 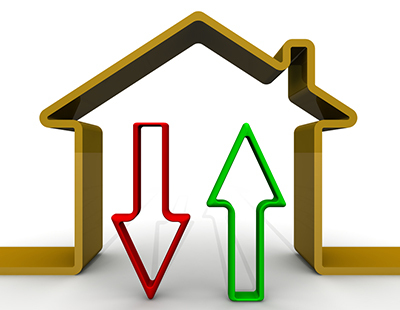 The planned changes apply only to our Your Move and Reeds Rains branch networks and there are no planned changes to Marsh & Parsons and the LSLi Estate Agency subsidiaries. Marsh & Parsons continues to implement its well established strategy of expanding its branch network. When LSL acquired Marsh & Parsons in 2011, it had 12 branches. Today the Marsh & Parsons network has been expanded to 28 branches. The Marsh & Parsons strategy remains to continue to expand the number of branches to 36 in the medium term, with a focus on locations outside prime Central London. The LSLi group of companies today operate 57 branches and they will continue with their existing strategy to develop the nine well established local brands in their existing markets in the South East of England. In addition, in 2019 the LSLi group of companies will continue to actively evaluate opportunities for lettings book acquisitions. a. The closure and merging of the operations of approximately 81 neighbouring branches into the new keystone branch network. This will deliver improved scale. c. A total of approximately 43 branches which are not planned to be combined with the keystone branches or converted into a franchised branch, will be closed. The planned changes are expected to reduce the total number of Your Move and Reeds Rains branches from 404 to 280 of which approximately 144 will be owned keystone branches and approximately 136 will be franchised1. The reduced number of owned branches will allow us to simplify central support functions to provide more cost effective support to the smaller network of approximately 144 keystone branches. We have also begun the process of replacing our legacy in-house developed Residential Sales and Lettings system with a solution which has already been operated successfully by Marsh & Parsons for a number of years. The investment in the new platform and tools is expected to provide better functionality and processes for our Estate Agency colleagues in the newly established keystone branch networks. This solution will also be rolled out across the LSLi group of companies. The replacement of the legacy in-house platform will be more cost effective and will enable us to better align our systems across our Estate Agency brands, enabling us to respond more flexibly to the technological advances being made in the Estate Agency market. These changes will take place during 2019 and 2020. The simplification and streamlining of the Your Move and Reeds Rains operations is expected to result in a headcount reduction. This will be minimised wherever possible by the franchising of branches, the merging of branches with keystone branches and offering alternative employment where available within the Group. Affected colleagues based in Your Move and Reeds Rains branches and related central support functions are entering a period of consultation. We are focused on, wherever possible, minimising the impact on them and supporting them through this process. LSL colleagues outside Your Move and Reeds Rains branches and central support functions will be unaffected by this announcement. Delivering the ways of working programme into Your Move and Reeds Rains is expected to deliver material improvement in Your Move and Reeds Rains operating profit, assuming no material change in market conditions. The material improvement to underlying operating profit in Your Move and Reeds Rains as a result of the changes announced today are expected to be delivered as staged benefits in 2019 and 2020 with full run-rate benefits being achieved during the second half of 2020. We expect to invest approximately £1m of incremental capex which comprises IT system and telephony and improved tools for the colleagues in the keystone branch network. We expect to incur a total exceptional P&L charge of approximately £15 million over 2019 and 2020. Of the total estimated exceptional P&L charge, approximately 80% of this will be in cash costs over the three years from 2019 to 2021 with the majority falling in 2019. The majority of the costs are expected to be redundancy costs and leasehold property costs with the balance including non-cash fixed asset write-offs. LSL has a robust balance sheet with relatively low levels of gearing. In line with our 2018 Full Year Trading Update which was released on the 22nd January 2019, we continue to remain cautious on the market outlook for 2019 given the continued uncertainty over the UK and global political environment and the potential impact on UK consumer confidence. Nevertheless, we are confident that LSL, with its market leading brands, broad portfolio of residential property services and the proactive measures announced today, remains well positioned. We will provide further guidance for 2019 with the release of our Preliminary Results which is due to be announced on Tuesday 5th March 2019, at which time we will also provide an update on the progress of the Your Move and Reeds Rains changes which we have announced today.